How is it possible that my dream could show up and I not know it? A little over a year went by, maybe a year and 1/2. There was a terrible hail storm and our reliable old Honda Accord was pummeled. We called the insurance, filed a claim, and ended up getting more for the car than we paid. Then I paid the salvage cost and sold it for a little more money. With that settlement we went looking for a car to put a downpayment on. I found a car on the lot that I wasn’t familiar with. A Volkswagon Eos. Oh it was love at first drive! I knew that was the kind of car I was going to buy. The one that we drove was over priced and under optioned. I wanted one that had the heated seats, premium stereo, and the stick shift! We found a nicely priced used one on line. Oh. Oh. Ooooohhhh. It had a 6 speed, turbo drive, with tinted windows, upgraded rims, and a car cover!! Wow. We paid just a little under blue book for it. We drove it home from Texas and loved every summer hot moment in the little red car. When we got home I lamented to my husband just a bit while looking at the Audi pics that were still on the wall. My husband told me to go to the garage and open the hood, look at the motor and tell him what I found. I did. All the parts under the hood had the Audi symbol on them. I had actually gotten the Audi I wanted on the inside with the Volkwagon symbol on the outside. 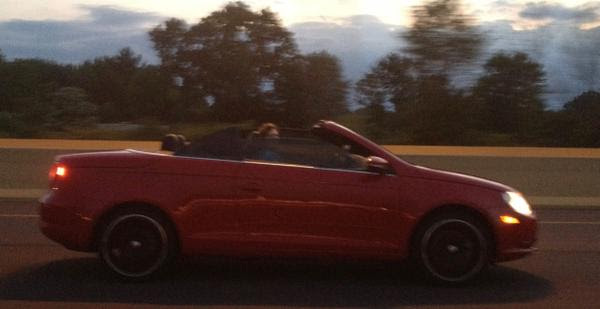 I later found out that Audi doesn’t make a hard top convertible. Audi only makes soft tops. I don’t like how often those get cut with a knife by ne-er-do-wells so that was out of the question for me. What is on your wish list, your bucket list, or what is your burning desire? Seriously, please write or call, or text and share with me what is on your list that you still want to do. If I can help you I will. Do you have a business that you want to succeed in a bigger way? Do you want to start a business? Or do you just want to retire more comfortably?